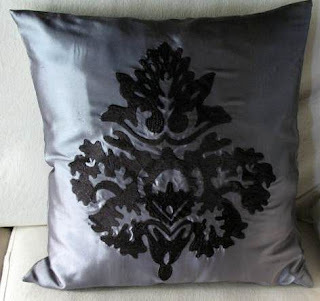 Cushions are a great way to add a touch of elegance and luxury to your home at very little cost. Splurge on a few beautiful cushions to add gasp of ' oh wow' to a room or to add that designer touch. One of easiest ways to do this would be match the wall paper in your home. The latest trend in wallpaper is Damask designs. You can either use the wall paper print on your cushion or pick one of the more prominent colors on your wall paper and match your cushion covers to this. Sometimes it is nice to use one or two cushions that stand out and mix it with solid colored cushions or cushions with a simpler design. 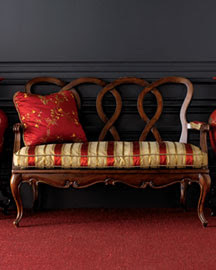 Bold unusual color combination is another home decor trend for 2009. If you have a dull wall color or your sofa upholstery is starting to fade . A cost effective way to brighten up your room is adding some bright unusual cushions and throws. So that these are what people notice and pay attention too, not your worn out sofa. 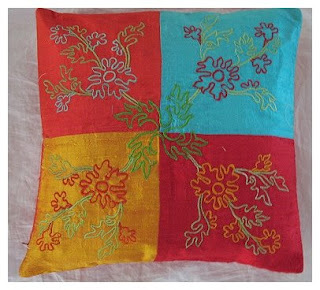 Combine some lovely intricately designed cushion covers with simpler designs to to liven up your room. Retro brights like yellows ( acid citrus shades) are also in. Accents with bold shapes and colors create an easy retro feel. Geo metrics are also in . For that simple and understated look geometric are the way to go. But don't use too much of the same shape. Combine different shapes in dark tones and metallic hints that are so trendy right now. Opulence is in! But then again opulence and luxury has always been in. 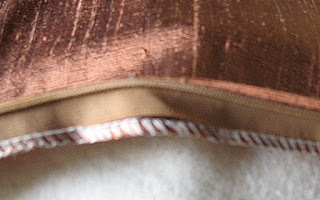 :) You can use metallic shades such as gold, silver, bronze, copper or pewter. Rich fabrics like satin, silk and velvet also add to this rich , elegant. look. Vintage glamor is also an extension of the trend towards luxury. Achieve this look using sheer fabrics and soft colors. Going Natural is also another home decor trend. Eco Homes made out of simple natural are the trend that can be translated into your soft furnishings with natural patterns and colors. When I first thought of Comfyheaven , I went shopping on the internet and hundreds and hundred so beautiful cushions , at home in Colombo :). I noticed that a lot of the products in the market were mass produced and cheap quality items. 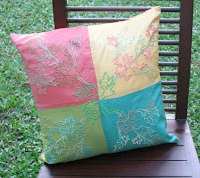 At first glance the riot of colors and glitter on them made them look lovely but open up a cushion cover and the finish inside made me cringe. The comfort factor was also lacking. You need to be able to lie down on cushions and pillows...at least rest your arm on them without worrying about the color getting on your hands, the embellishments scratching you skin etc they should also feel comfortable to touch. with ways we can improve quality. were neater than normal zip , put on top or on side they looked much better too. 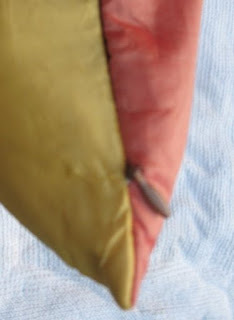 Inner lining: Depending on the fabric we give inner lining which gives the cushion a better shape. All of our pillows are made for you individually.They are generally custom made so if you cant find a certain color or need a certain size or even if you want to match another cushion we can accommodate you. We had a great time developing this product line for you. We hope you enjoy our efforts. Have fun shopping! Making your house a home with pillows. Personally I love pillows and cushions. My bed has more pillows than there is room for me. 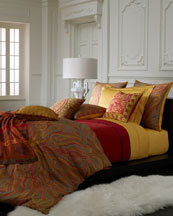 Beautiful pillows can enhance your home. By just changing the colors and fabric of your cushions , you can change the whole look of your home. If you want comfort : neutrals and cottons and if you want luxury and elegance silks but these are just two of the simplest ways you can change the look of your home using pillows. Cushions are the one of the most important home accessories and give a very strong decorative impact with a minimum of effort and cost. 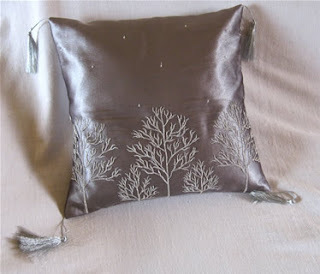 Cushions can not only change the mood of your home, but can also enhance seasonal changes. Cushions add warmth and coziness to a home. Guests feel welcome at once when they sit down on a sofa full of cushions. By adding even one cushion sometimes you can enhance a piece of furniture in your home might otherwise just vanish into the back ground. 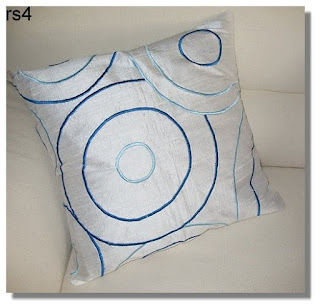 By using cushions you can add color, depth and elegance to your home.